I was watching this programme on TV called 'One Man And His Campervan' about a bloke who travels around the UK in his campervan searching out great food and places, and giving tips on campervan travelling. 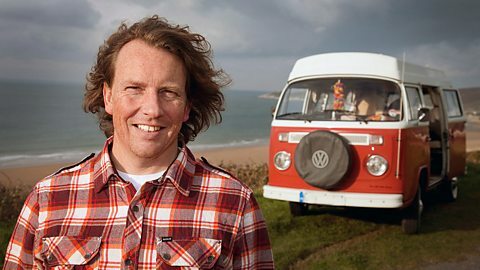 The first episode is set in Devon and the presenter, Martin Dorey, tells us that 37% of Britain's beaches are privately owned. "But never mind!" he declares "I have a friend...." and he drives up to this big old manor house where his mate Lady Whatsername is hanging out of an upstairs window. He shouts up to her and they have a conversation along the lines of: "Hey can I camp on your beach tonight please? ", "Of course you can Martin. Enjoy it!". And the answer to the problem of privately owned beaches, according to Martin Dorey, is "Just try being friendly. ".